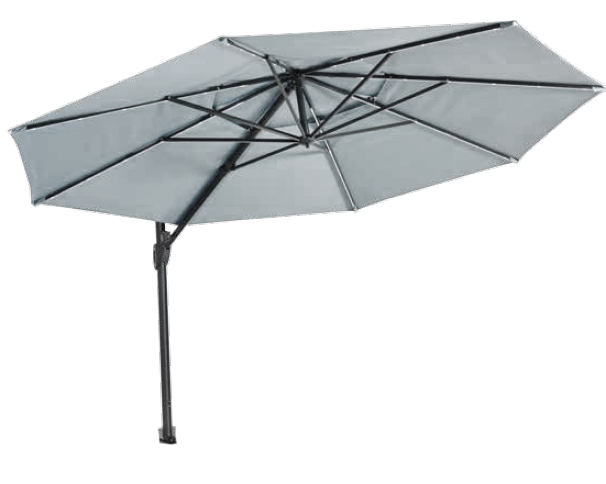 3.3 Metre free arm parasol. Includes cross stand (base sold separately). This item comes boxed for self assembly. An assembly service is available on request. Available and view or purchase to take away form our Feltham store, or local delivery available. Interest free credit available on this item. Please call or visit our Feltham store for details.